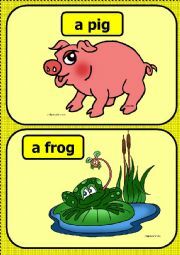 I´m an English teacher in Warsaw, Poland and also and ESLprintables addict. 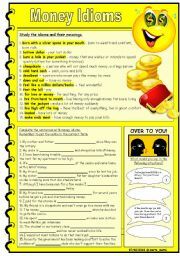 This worksheet contains exercises concerning idioms connected with money. 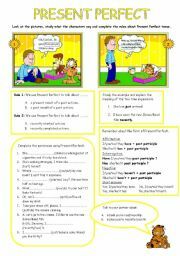 This worksheet presents Present Perfect and gives an opportunity to practice the tense. 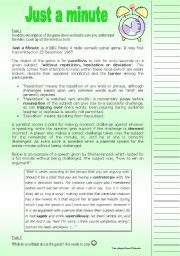 This worksheet consists of two sections. 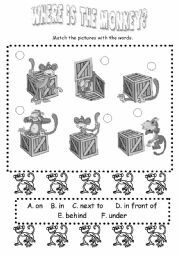 The first section is a reading task about the famous radio game called Just a Minute. 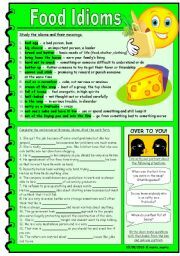 The second section is a collection of 50 funny speech topic that can be used to play the game in class. The topics are sometimes very abstract or silly so tell your students not to take them seriously. Have fun! 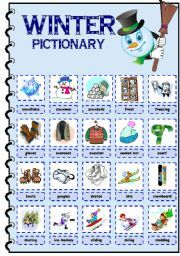 Winter pictionary which can be used to introduce or revise vocabulary. It may also be used a classroom poster. If you print it twice and cut it, you will have memory game cards. I hope you will find it useful. 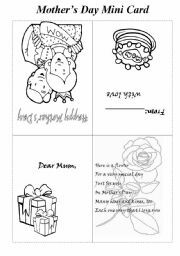 Mother´s Day Mini Card for young learners. Instructions for the teacher included. 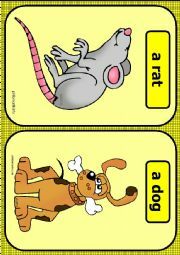 The activity combines vocabulary practice, listening and reading skills. It´s fun as students can cut things out and colour the pictures. What´s more, it´s very personal. Students can sign the cards and give them to their moms. I hope you´ll like it. 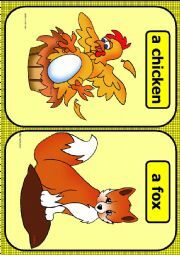 A worksheet which presents prepositions of place.